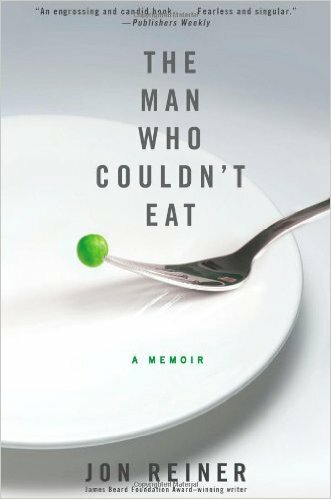 The Man Who Couldn’t Eat is the story of Jon Reiner, a man living with Chron’s Disease. Complications from this disease lead to several months of Mr. Reiner not being able to eat or drink, and to the necessity that all nutrients be pumped directly into his blood stream. As you might imagine, he became a bit unhinged and his wife, children and career suffered. The author is certainly gifted and he made even the most technical explanations easily understandable and mostly interesting. The story is an engrossing one (emphasis on the gross), and it certainly held my attention. I’m not sure how broad the appeal for this book is. Would I recommend it to a friend? I guess that depends on the friend, mostly because it’s just a super depressing book. The worst part for me was when Mr. Reiner was finally able to eat again, only to discover that his taste buds had died and he couldn’t taste anything. Overall, I would say that if the premise of this book sounds interesting to you, then you’ll enjoy the book, but, while the writing is excellent, it isn’t quite such a compelling story that it would interest someone despite their initial misgivings. P.S. The FTC would like me to let you know that I received this book at no cost through an Early Reviewers program. This entry was posted in book reviews, non-fiction and tagged book review, non-fiction, reiner. Bookmark the permalink.